I redesigned and implemented a new system for a local Icelandic Business Directory. The directory is aimed at couples planning to tie the knot. I worked on the project for Marry Iceland. The website brudkaup.is has been a comprehensive web with an option of listing hotels, churches, musicians, make-up artists, photographers, videographers, and adventure travels, to name only a few of the registration option for businesses on the site. 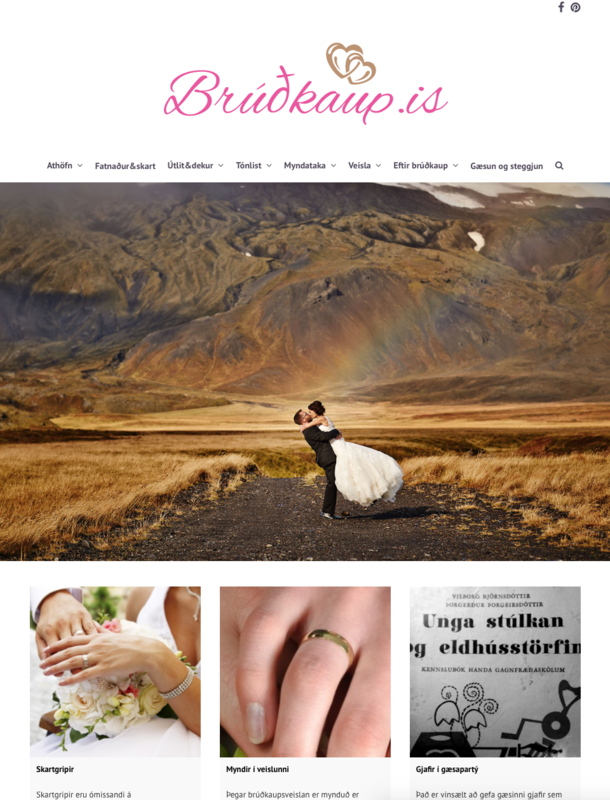 Currently the websites lists useful articles addressing wedding preparation in Iceland.